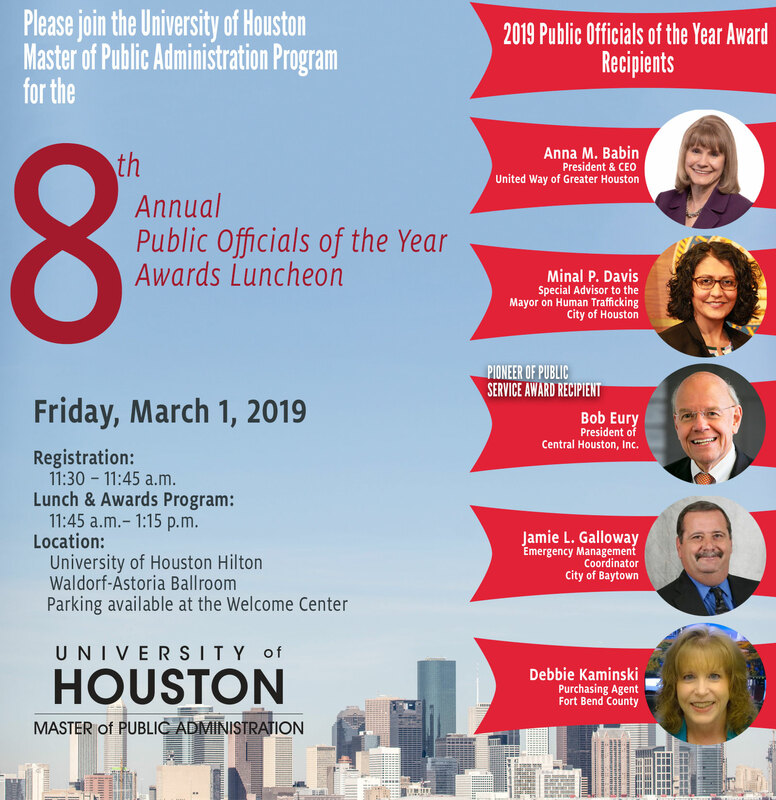 Each year, the University of Houston Master of Public Administration (MPA) Program honors outstanding elected officials who have provided a positive influence on the ideals of public service in the greater Houston metropolitan area. Pioneer of Public Service Award Recipient: Bob Eury, president of Central Houston Inc. Lunch is generously sponsored by Olson & Olson LLP, Cobb, Fendley & Associates Inc., and alumnus David Hawes.